Personhood rights mean a river can file a lawsuit. Deep Green Resistance, a far-left environmental group, and Jason Flores-Williams, a lawyer, have filed a pioneer legal suit against Colorado state. They have asked the state to provide personhood rights to the Colorado River. If the suit is a successful one, then it means lawsuits could be filed on behalf of a Colorado river for any kind of harm done towards it. In short, the river would be treated similarly to a human being. A successful lawsuit, in this case, means pipelines could be blocked. Housing developments and golf courses could be stopped. The law could force every person, from politically appointed mayors to agriculture executives to reevaluate how they interact with the environment. Environmental laws would run supreme, with the Nevada deserts, Rocky Mountains or the redwood forests to make cases against the government, individuals, and corporations over issues of depletion or resource pollution. The suit names the ecosystem of the Colorado River as plaintiff and cites no particular boundaries. The suit holds Colorado state, and Governor John Hickenlooper totally liable for the violation of river's absolute right to exist, regenerate, be restored and regenerate. The plaintiffs claim that since corporations have rights, the waterway must also have rights. The reason is that the river has sustained generations of humans since time immemorial. As per the lawsuit, the Colorado state has violated the rights of the river by polluting and also draining the waterbody. Endangered species are also threatened. This claim cites a number of nations whose governments or courts have recognized a few rights for the natural entities. 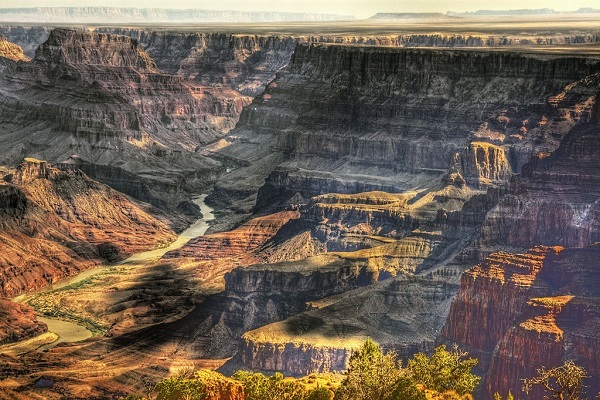 For Native Americans, the Colorado River is more than a flowing body of water. They view nature as per their belief system. A river does not only support life, it is also sacred. The phrase is “Water is life” or as the phrase is said in Lakota, “Mni wichoni.” 5,000 marchers of Native Nations March in the capital Washington D.C. chanted this phrase. In 2016, it was the anthem of struggle to block the Dakota Access Pipeline. The pipeline was supposed to be laid under North Dakota's Missouri River. According to the plaintiffs, giving river rights to file a case will compel humans to take due care of water and the trees required to survive. If they do not, penalties could be brought on them.